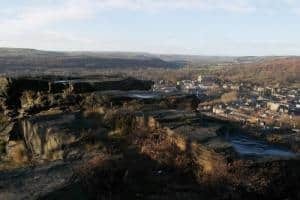 This is one of our favourite walks for discovering Bingley as a first time visitor or even as a resident. It will take you all around the town on a walk of discovery. Bingley is an old market town and was granted the status in 1212 by King John. It also has a textile industrial heritage which you can’t miss in the urban landscape with its many chimneys. 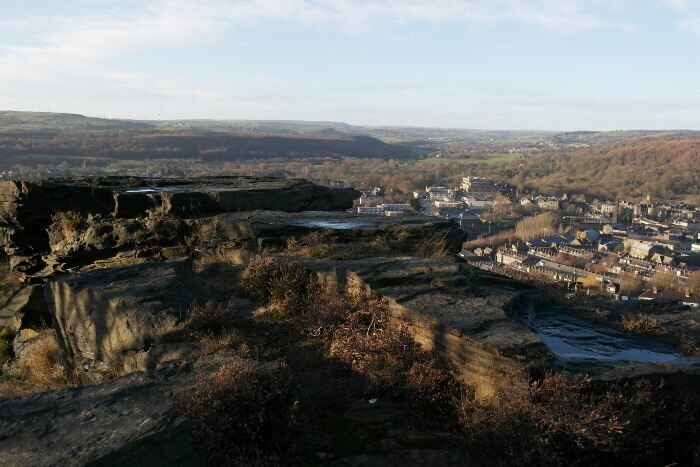 However, the most interesting features you will see on this walk are the parks and spectacular views from Gilstead Crag, a rugged rock overhanging above Bingley! A café located near the Five Rise Locks and a great break half way through your walk. Starting from the railway station, make your way towards Market Square. Once there, have a look at the old covered market and buttercross – to the right of Bingley Little Theatre. This reminds us that Bingley is an old market town and was granted the status in 1212 by King John. Then from here, the walk will take you towards Myrtle Park where Bingley Music Live and Bingley Show happen every year. You need to cross the River Aire and pass some community gardens before you can find hidden away a beautiful pack horse bridge. Cross over it and take a right turn in just after it to find yourself in a field. Then go up the river bank towards a house at the top. Follow a path through the woods after the house and go back down the river bank again. You should arrive in a meadow close to the river and see a green foot bridge. Do not cross the river, stay on its left hand side and walk across the meadow towards a path in the woods which will lead you to Harden Road. Note: You should arrive just above the Brown Cow pub. It’s a great place to have a drink, so don’t hesitate to have a break there! From there, cross Ireland Bridge over the River Aire towards Main Street. You should see All Saints Church on your left hand side. At the lights, cross the road and turn left, pass the Fire Station and you will find a pedestrian bridge to make your way towards the Leeds and Liverpool canal. Once on the canal, the first set of locks you will see is the Three Rise Locks with the Damart Mill in the background. Go left and follow the towpath, then after the first turn you can’t miss the astonishing feature that is the Five Rise Locks – see picture. This set of locks is a unique feature as it’s the tallest staircase locks in the country. It was opened in 1774 and was a key element to the economic development of Bradford’s textile industry. The canal and the locks are now looked after by the Canal & River Trust and if you have a Smartphone, don’t hesitate to scan the QR codes on the information posts they have dotted all around the area. 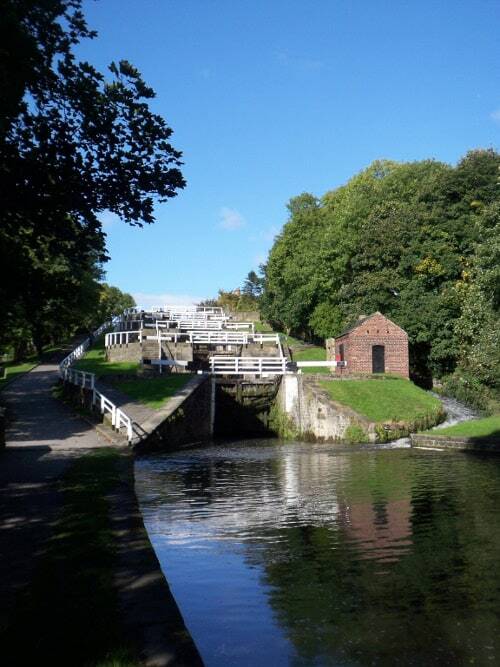 Or take a look at our Bingley Five Rise Locks Family Walk to find out more about this site. Note: At the top of the locks is the Five Rise Locks café. Another great place for a break and an ice cream! Then make your way towards Beck Lane and follow the road with the allotments on your right. This is a residential area full of charm, lovely gardens and quiet alleyways – or snickets as we say locally. Where Beck Lane meets Hall Bank Drive, you will find a snicket opposite leading to Gawthorpe Drive. Once there, on the left you can take a look at Gawthorpe Hall through the gates. This grade II listed building is probably one of the oldest in Bingley. It’s a private property, so unfortunately no visit is allowed unless you are authorised. Then from here it’s all up hills! From Gawthorpe Drive, make your way towards Spa Lane which leads onto the Park Road. Stay on the left hand side and go up the road. Cross Lady Lane and in front of you is you is the Prince of Wales Park. Opened in 1865 and named after the then Prince of Wales, the future King Edward VII, this park has recently undergone a full restauration. The Friends of Prince of Wales Park are now looking after the park and received many grants to make it what it is today. Well worth a visit! 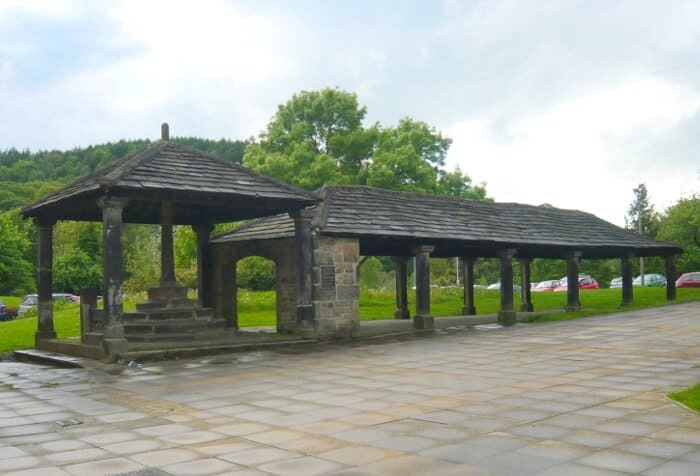 Then you’ll need to cross Park Road – be extremely careful on this busy road – to go up Gilstead Crag and finally be able to admire a fantastic view of the Aire Valley on top of it. Interesting fact: It takes about 2 hours to do this walk and if you time your walk for sunset, on top of Gistead Crag you are in for a treat. It only takes about 15 minutes to finish from there and it’s well-lit. Going back down is much easier and you’ll once again go through snickets in a residential area. The streets you will go through are Moorbottom Lane, Crownest Lane, Belgrave Road, Percy Street and finally Britannia Street where you can cross the canal and bypass on the pedestrian bridge and go back towards the station to finish this walk.